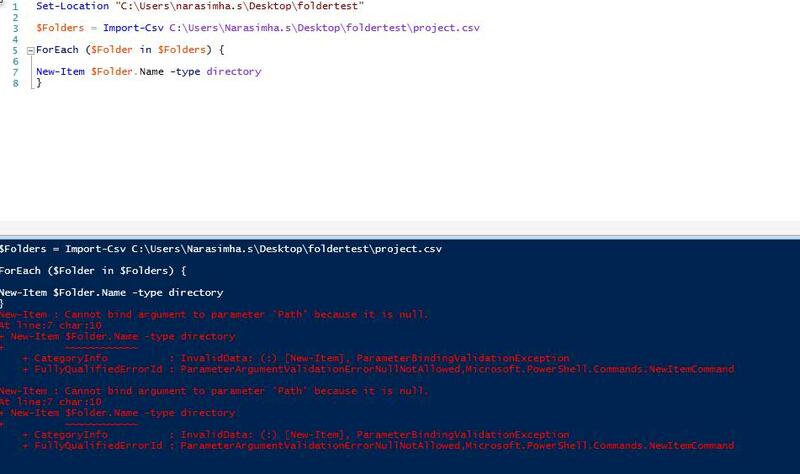 [SOLUTION] Need to create Multiple folders by importing CSV file using powershell. 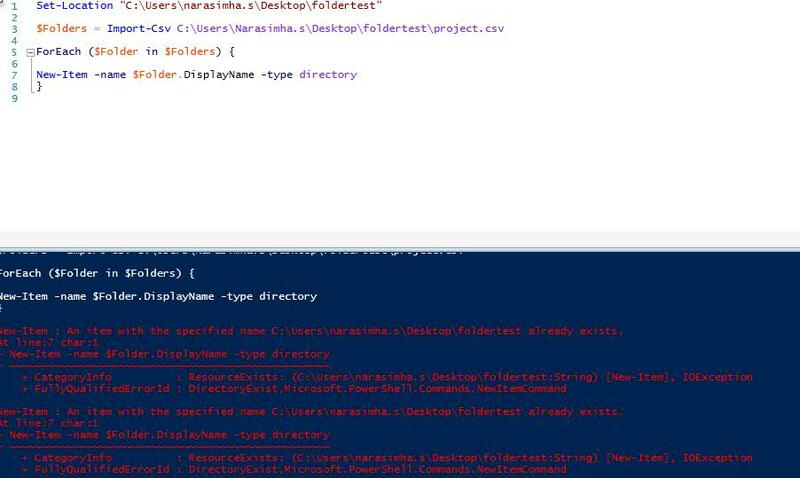 Need to create Multiple folders by importing CSV file using powershell. Can you also show here what the CSV looks like. Please attach the actual CSV file, not a picture of it opened as a spreadsheet, need to see the text file. Sounds like a new question, and be sure to include the "Active Directory" topic when you create it.